How Safe is Your Skin Care? When was the last time the US government passed a major federal law to regulate the chemicals and ingredients used in personal care products? You can’t unlearn what you learn. 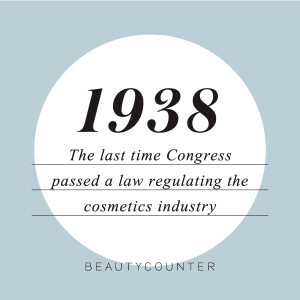 The last time the government passed a federal law regulating the use of ingredients in personal care products was 1938. That’s 75 years ago. WWII had not yet started. Do you think any new chemicals have been developed since that time? In fact, there are approximately 12,000 chemicals used in the cosmetic and personal care industry, and 80-90% of these have NEVER been tested for their impact on long-term health. And of those chemicals, there are quite a few that HAVE been tested and are currently banned in the EU and other countries. But not in the USA. As naturopathic doctors, as parents, and as humans, this makes us mad. 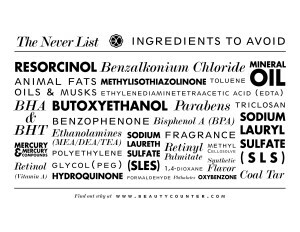 These chemicals are allowed with no regulation in our personal care products—our makeup, our shampoos, our baby lotions. The five billion dollar beauty industry is at full liberty to use whatever ingredient they want in the products we use every day. Known carcinogens, hormone disruptors, skin irritants, allergens are fair game, as are ingredients thought to contribute to infertility, ADHD, the sharp rise of Autism, and cancer. These are all present in many of the cosmetics and personal care items that line the showers and bathroom counters of families everywhere. We think so. Which is why we have partnered with Beautycounter, a revolutionary company that is doing something about this. As a Certified B-Corp, they are driven with a social and environmental mission to change this situation while creating the safest AND most beautiful skin care, body care, and cosmetics we have ever seen. They have created a Never List of 1500 ingredients that they will never use in their products. 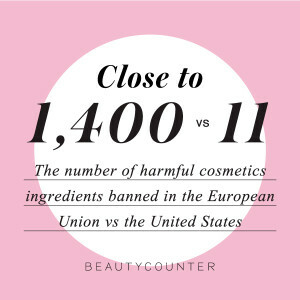 Beautycounter also pledges complete transparency and refuses to hide any ingredients in labeling loopholes such as using the word “fragrance” to hide undesirable additives from the public. To say we are excited about this company is an understatement. We have been searching for years for skin care solutions for our patients (and for ourselves!) that were not only safe but also effective. That combination has been hard to find. 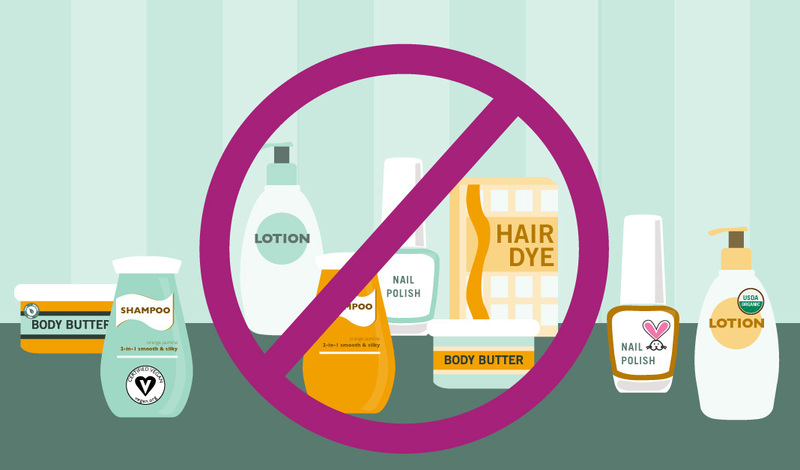 Yes, it IS possible to find safe, natural skin care products and cosmetics, but they often don’t perform as well as the chemical-laden kind. And how often is that “natural” product you are spending extra money on actually a “Greenwashed” product? Beautycounter is the real deal. Our office provides several opportunities for anyone interested to experience the entire line of cosmetics, skin care, body care, kids & baby care that Beautycounter offers. Options include one-on-one sessions, group sessions, and “checkouts” to try the products in the comfort of your own home. Please call or email us today for more information. Visit our Beautycounter site here! 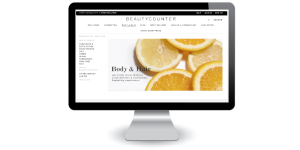 Our Beautycounter site shares their company’s social mission and is full of product details and ingredients used. Features include a convenient online shopping cart with flat rate shipping and a 60-day return policy. Skin care safety is an important part of our health, and we are very happy to be able to provide some answers! Sign up and receive the latest tips and news from Dr. Kristina about Beautycounter and Skin Care safety. Two excellent non-profit organizations will help you learn more about your own skin care products. EWG (the Environmental Working Group) has created a super awesome user-friendly skin care products database called “Skin Deep.” They have a robust desktop version as well as handy Apple and Android smart phone apps that even allow you to scan barcodes of your current products. You may be interested to know that EVERY SINGLE ITEM created by Beautycounter receives a 0-2 rating on this database. (The lower the score, the safer it is). We’ll be curious to hear how your other products fare. You may be quite surprised as the “organic” and “natural” products you’ve been using that fail the EWG test! Another fantastic organization, the Campaign for Safe Cosmetics, is where Beautycounter’s head of Health and Safety, Mia Davis, got her start. 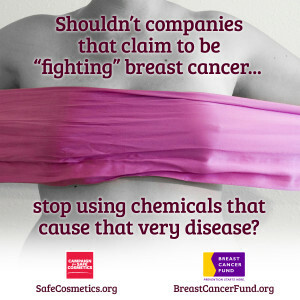 Their website is full of facts, tips, and action alerts to effect change in the cosmetics industry. They also have a smart phone app, but it’s currently only available for Apple (but a beta version for Android is in the works). We deserve better & we’re doing something about it!